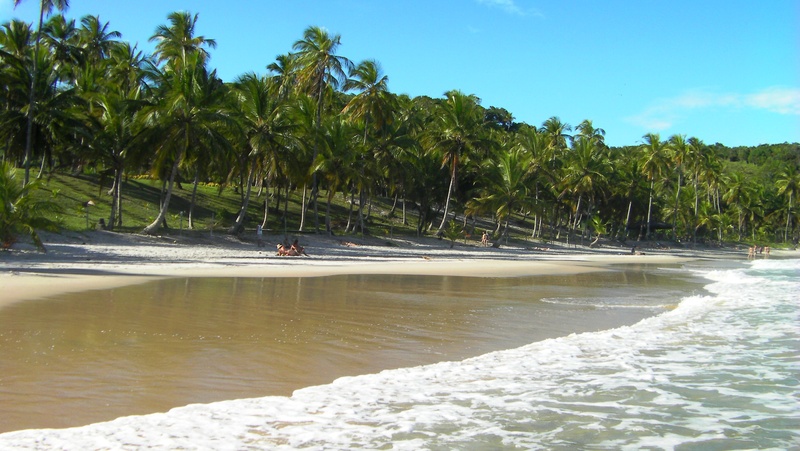 Itacaré is a small, relaxed town with stunning beaches situated in the middle of the jungle. 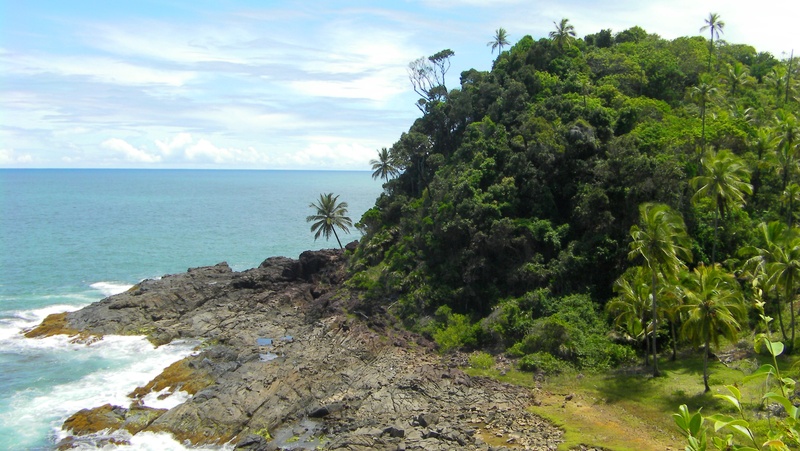 The area’s rolling hills are covered in pristine rainforest sweeping right down to a chain of beautiful secluded bays. The powdery soft white sand is edged with palm trees and large, smooth boulders are scattered at the edge of the turquoise sea. Deliciously off the beaten track, Itacaré had no paved road access until very recently and this gorgeous fishing town was largely self-sufficient and unknown by the outside world. Only the most adventurous travellers, surfers and hippies made their way here and some never left. 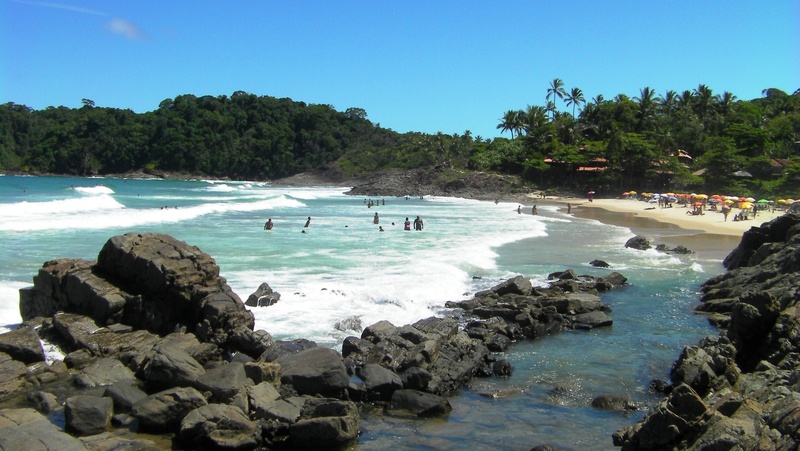 Now, an asphalt road from the southern city of Ilhéus is increasing the number of tourists and bringing a buzz to the town. They come with the promise of pristine, unspoilt beaches and awesome surf breaks. With your own slice of paradise just a short stroll from town, the tourists are never disappointed. Hourly buses depart Ilhéus throughout the day until early evening and take 1.5 hours. 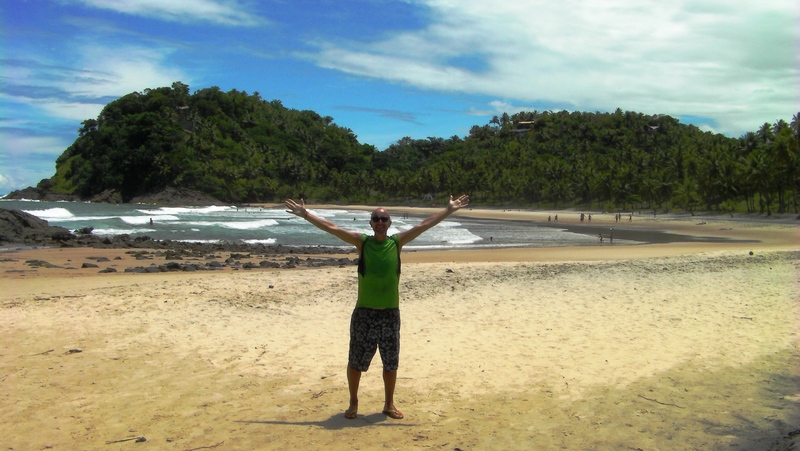 There are no high end resorts and no fine dining restaurants in Itacaré but that’s exactly what we loved. 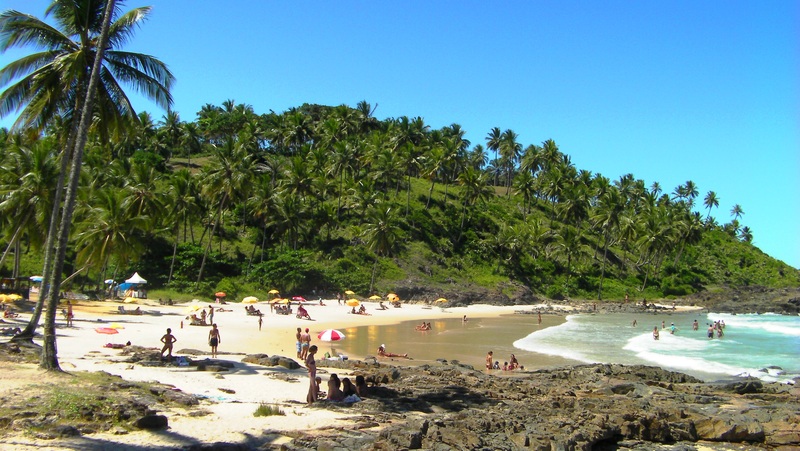 Itacaré is still very natural and uncommercialised and it attracts a laid-back, free spirited crowd who are interested in enjoying the pure environment. The Bahian locals are super friendly and very happy to share their beautiful backyard with others. Accommodation options include low key cabanas, rooms in family run pousadas, dorms and camping. Rustic dining choices spread along the main road are plentiful and range from delicious, home cooked Bahian specialities to surprisingly decent international offerings including a very popular German bakery and a pizzeria! A short walk from the town centre, there are three inter-connecting horseshoe shaped beaches called Resende, Tiririca and Ribeira. They offer excellent surfing conditions for beginners and they’re also a great spot for people watching. 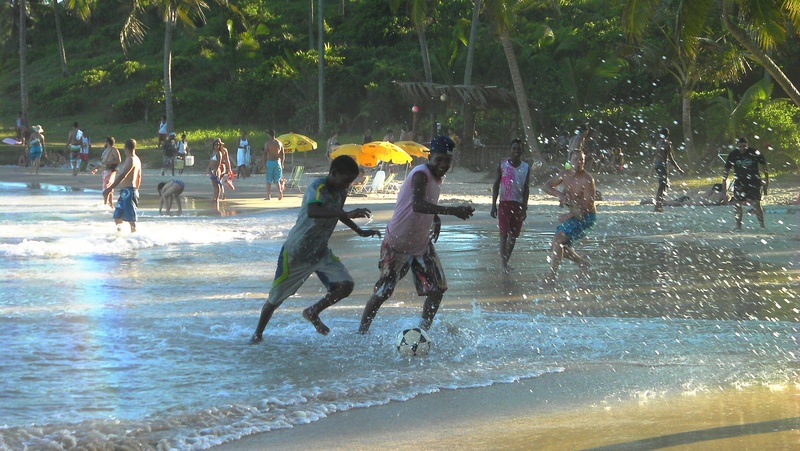 As you’re in Brazil, there’s always an impromptu game of beach football just waiting to happen and surfboards, kayaks and stand-up paddleboards can be hired right off the beach. 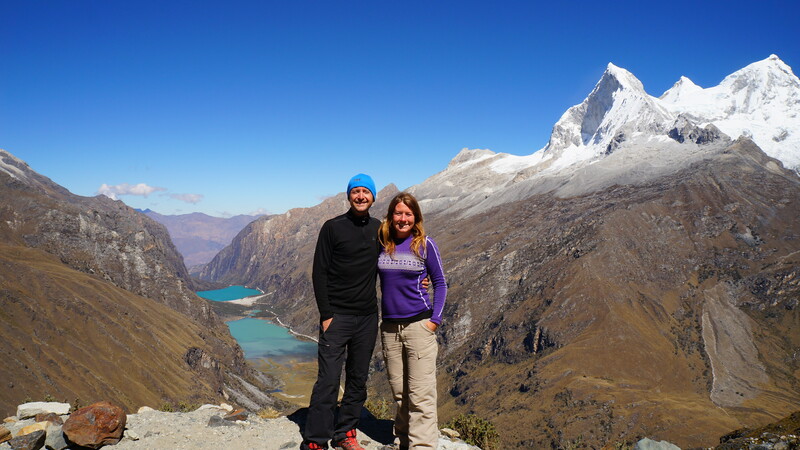 For those feeling a little less active, doing as little as possible is highly encouraged. Needing no incentive, we snoozed in cotton hammocks slung between the palm trees and felt the sun on our shoulders as we paddled in the shallows. It’s the perfect anecdote to hectic city life! Many of the beaches can only be accessed by trails through the forest or by crossing mangrove rivers but the extra effort is rewarded with postcard perfect beaches without the crowds. One such beach was Praia do Prainha, our favourite of all. The trail starts at the far side of Praia do Ribeira and takes around 45 minutes across an undulating track. 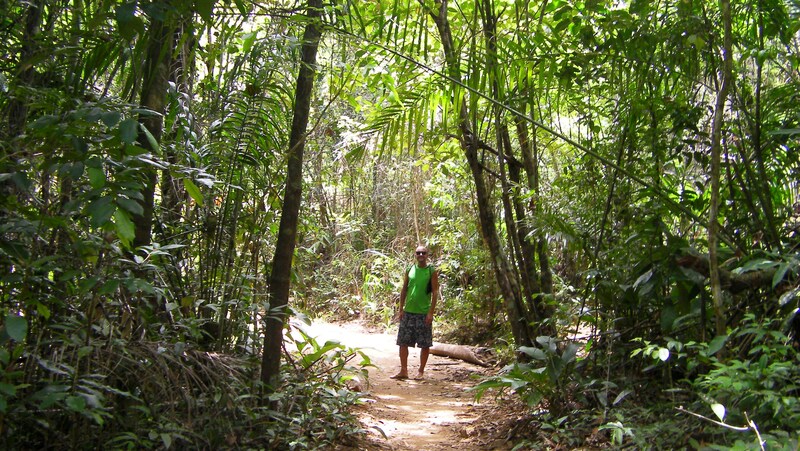 Wearing only our beach-gear and flip flops we shuffled through the forest, taking time to appreciate our surroundings. Several different tracks lead through the forest so you have to use your intuition in places where the path splits. We were doing well until we were distracted by troupes of Tamarin monkeys with bright fluffy facial hair acrobatically leaping through the canopy and on more than one occasion we had to double back and try another path!! The locals like to say the air smells sweet like chocolate on the Cocoa Coast (Costa do Cacau) and as you hike this trail passing waterfalls and Cacau plantations you’ll whole heartily agree with them. Atlantic rainforest used to stretch the whole length of Brazil’s south facing coast but sadly because of excess logging, nowadays only 7% of the existing forest remains. Older than the Amazon rainforest, these coastal forests are some of the most bio-diverse on Earth, with many indigenous species, so the message is to tread lightly and leave nothing behind apart from your footsteps. The trail culminates in a spectacular ten minute walk along the coastline and throws you out at Praia do Prainha, a paradisiacal crescent of brilliant white sand and cobalt blue sea. We were just two of around twenty people on a giant swatch of sand and felt like we’d been let into a very well-kept secret. The beach is serviced by a thatched-roof shack serving basic food and drink. As we rocked up to the counter, the machete-wielding owner was nimbly cutting holes in the top of two fresh coconuts and we knew it must be fate. He poured the coconut water over ice with fresh chunks pineapple and after our hike it didn’t last long. 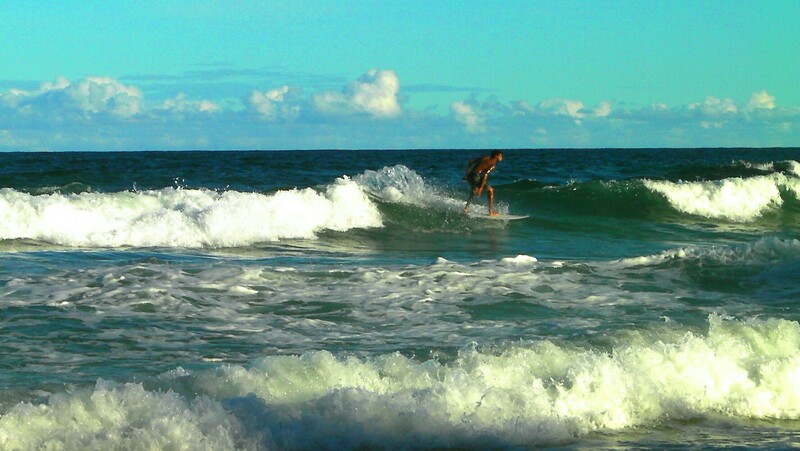 Surfing is everywhere in Itacaré, with plenty of surf schools who will teach beginners, but for those who want to step off the beach and get their heartbeat racing, there’s a host of exciting activities to be enjoyed in the rugged surroundings. The close-by Contas River offers some of the best rafting in Brazil, descending through craggy terrain on a series of Class III and IV rapids. Horse riding treks can be arranged around the peninsular and sequences of thrilling zip-lines and tree-top walkways can be tackled with a guide and equipment. From July to October you can even go whale watching to spot humpbacks breaching in the bay. 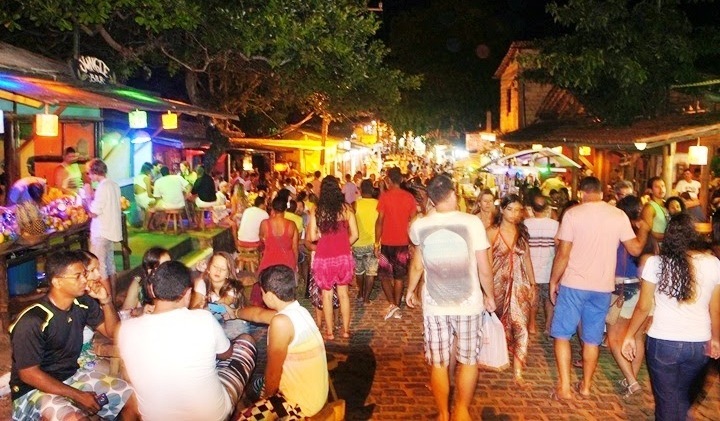 Itacaré town comes alive after the sun sets. There is a youthful, fun vibe on the cobbled streets as bartenders’ wheel out wooden carts and mix delicious fruit caipirinhas. Groups of athletic and agile Brazilians impress spectators with impromptu Capoeira performances, combining dance, acrobatics and music. A combination of reggae and samba music fills the bars and restaurants and keeps the party moving. 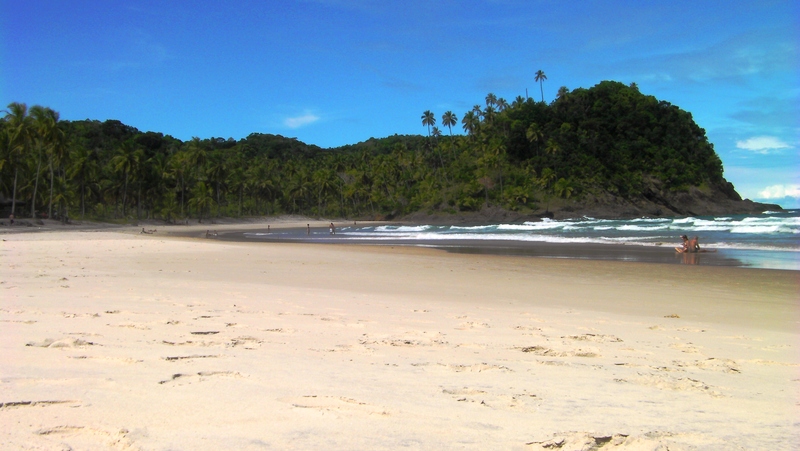 Itacaré is a launching pad to some of the most stunning beaches and best surfing you’ll discover in Brazil. It’s geography means you have to work a little harder to get there but we promise once you’re there, you’ll find it even harder to leave.